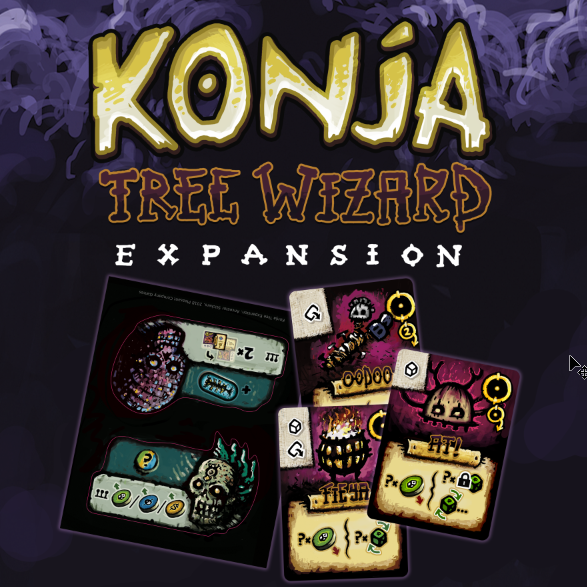 Konja: Tree Wizard is a mini-expansion for Konja, with components for a three-player game, including 3 starting relics for a third player, 2 stickers to adhere to the reverse of two of the Ancestor tiles for alternate Favour and Blessing effects and a rules-of-play card. 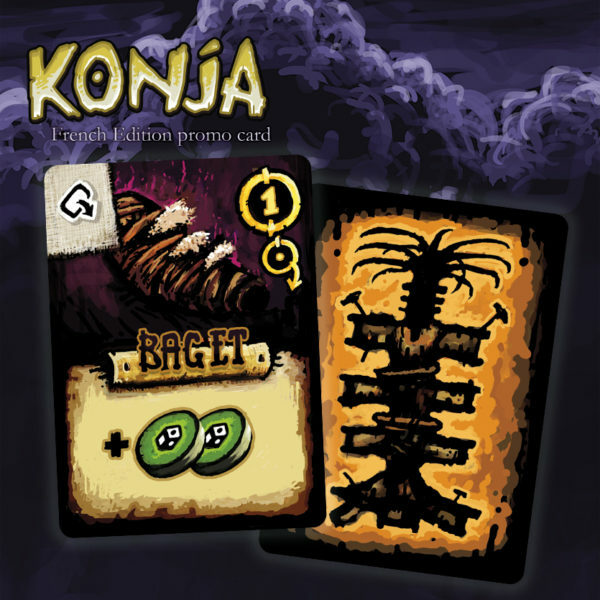 Baget Relic card from French edition of Konja. 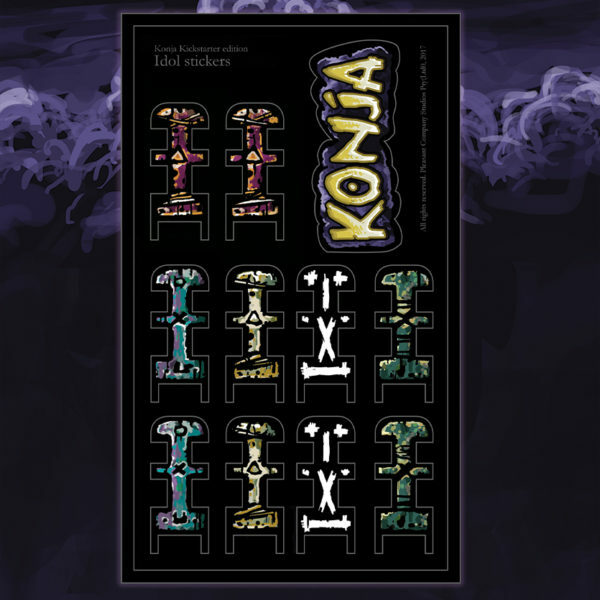 Konja: Ob Da Ah T! 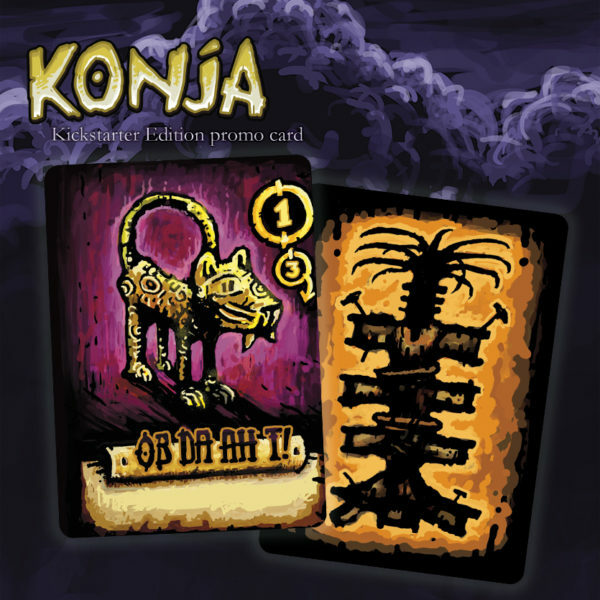 Konja Kickstarter edition promo card.